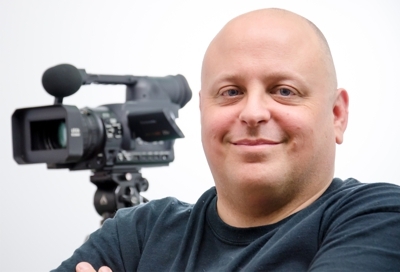 Award-winning director and iFilmGroup co-founder Matthew Marshall will be returning as a member of the judging panel for the 2019 Western Smartphone Film Festival. Marshall was a judge for the 2018 addition of the festival and feels it is a privilege to be invited back. The Western Smartphone Film Festival is in its fourth year. The festival is a student-run organization at Western University in London, Ontario that is focused on developing youth in the field of film and entertainment by means of an annual smartphone short film festival. With a focus on inclusivity and garnishing Canada's diverse and talented student population. The festival team uses a smartphone as a platform to allow a broad range of students to explore their creativity and further fuel their passion for the arts without the burden of expensive equipment. This year’s theme is “PERCEPTION vs REALITY” and Marshall can’t wait to see what those that have submitted have created this year. Marshall along with several other industry professionals will make up the panel that will this year’s submissions. The festival will be held on Saturday, February 2nd, 2019 on the Western Campus. All films entered into the festival must be produced, directed and edited by students who are enrolled in a recognized Canadian post-secondary institution. All film submissions must be created during the period between theme release and film submission and must be filmed on a smartphone of any brand. All submissions must not have been released in any way on the internet or TV prior to the festival. Non-students may be used as actors as long as they are directed by a post-secondary student. The film must not exceed ten minutes in length including credits. Editing software is allowed and not restricted to software available on smartphones. Each film must incorporate the theme for that year’s festival. All content must be 14A rating appropriate. All non-English films must have subtitles. The mission behind the WSFF is close to the hearts of Marshall and the iFilmGroup team. iFilmGroup strives to network youth and seniors in the making of award-winning films. As each person involved in the group of various generations brings their skills and talents to make meaningful films as they transition through their life journey. The group focus on mentoring and giving opportunities for both young and old to be able to make films. “When you have a festival that is organized and run by students and has films that are made with such passion as what is submitted to WSFF, it’s pretty impressive”, says Marshall. He goes on to say “the level of talent and films in last year’s festival were very high, as was the professions and work ethic of the organization committee that ran the festival”, Marshall adds. Marshall was blown away last year to see the high quality and immense creativity that came out of the films that were entered. The films were of such high quality it was hard for Marshall and the other judges to come to a final decision on the top three films, “it was a hard choice last year and took some real discussion on the part of the judging panel. I expect nothing less this year” says Marshall. He was also part of an industry professional panel which took questions from the audience and students about filmmaking. He has been invited back to be a part of the panel again this year and sees it as an opportunity to help spread the word about iFilmGroup. He was very impressed across the board with the festival. “Overall the entire festival was an amazing film experience that is worth attending”, says Marshall. He hopes the WSFF continues to grow and why along with iFilmGroup wish to support and encourage the festival committee in helping the festival to reach out to more filmmakers as well as film lovers to come to see the films being made. Marshall has over 30 years of experience in the film industry. He has worked with a wide variety of professional people and held almost every position of a film crew. He specializes in directing and script writing but has his post graduate certificate in broadcast digital editing and applications. He has produced such award-winning films as the feature-length, Daughter of the King and the short film Tuned In. His films have captured 80 awards and have been officially selected in 38 other festivals around the world. With additional nominations in festivals as well. Of the awards won, Matthew has won 11 awards for director of his various films. Marshall has served on several film festival panels during his career and is very pleased to be returning for his second year as part of the 2019 Western Smart Phone Film Festival as a judge and panel member. The festival will be from 1pm-4pm at Western on Feb 2nd where films are screened from 1-3pm and there is a networking session from 3-4pm.